It's November...and time has changed. | A.B.E. Remodeling, INC.
Hello All, Well we ended another month in our lives. All the activities of October are behind us now. The trick er treaters are done with their door to door candy hunt. Be honest here....Did you parents steal any of your childrens candy??? 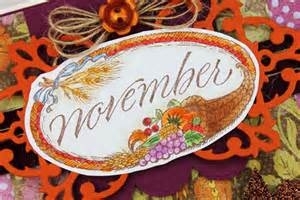 Anyway, moving forward in a new month..we want to wish everyone a healthy, pleasant, joy filled November. It is the month when we look forward to the family times at Thanksgiving.....And have you seen all the "fall" recipes flying across the pages on facebook. Gosh, when you're feeling hungary that all look so very yummm. Anyone have any favorite recipes you want to share??? In any event, HAVE A GREAT NOVEMBER. Enjoy what it is you like to do. !! !